Only joking! Yes it’s an important matter for many reasons but smarter people than me have written lots about it this week. It feels like this a good opportunity to focus on what’s happened on the field rather than in the press so let’s get going. What’s the exchange rate between penalties and yellow cards? On Friday the Crusaders not only won another game, but they put to the test the idea that you can’t just keep giving away penalties without consequences. Across the 80 minutes they gave away 18 penalties – that’s an average of 1 penalty every 4.5 minutes. When you consider that the ball is actually in play for a far shorter time than 80 minutes that’s even more concerning. At one point the referee had a word with skipper Sam Whitelock and told him that there had been a few too many in quick succession, and that if there was another then there could be a card. Fair enough you might think. But then the Crusaders gave away another four or five penalties within 15 minutes and yet the ref didn’t reach for his pocket. Only after the final hooter had sounded and the Crusaders had committed three penalties inside one minute did he eventually remember that those things in his pockets weren’t business cards. This isn’t meant to be some whinge about the refereeing – the fact that there’s been so little talk about the referees this season is a reflection of how the standard has been pretty high. But it is unacceptable that a team can infringe that many times and not get punished earlier. The Rebels slipped up this weekend and lost to the Stormers in Melbourne in a game that could easily come back to haunt them come Finals time. While the Stormers scored five tries – very impressive away from home – it was their patience that was noticeable above other aspects of their performance. They had very little ball and very little territory and yet they won the game easily by almost 20 points. They were able to trust their defence to soak up the pressure as the Rebels kept coming and coming, and when they did get a chance they were clinical. Pretty much every side in the Super Rugby competition has attacking weapons that can score impressive tries from all over. But very few have the confidence in their defensive structures and abilities. 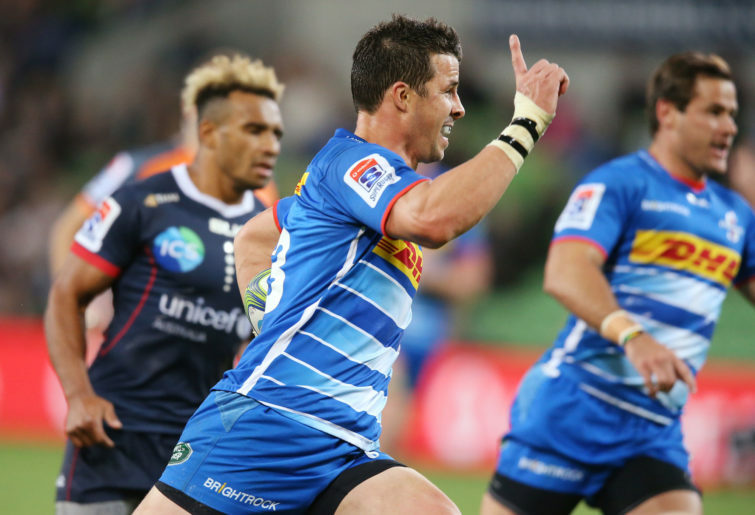 This weekend the Stormers showed that they have that within them. It’s been a tough road trip for them but if they can head home and keep that confidence then they could have a really strong second half of the season. What would you do – did the Lions make the right decision? For those who haven’t seen this game there was an interesting situation in the opening 10 minutes that is worth review. In the seventh minute, the Brumbies were down to 14 men having had Tom Wright sent to the sin bin. The Lions were in the Brumbies 22 and went to their line out. The Brumbies conceded a penalty at the subsequent rolling maul and the Lions again went to their line out. In the passage from that line out the referee then signaled again that the Brumbies had infringed and the South Africans had the penalty advantage. The Lions kept playing with the advantage and scored in the corner. The conversion was missed but they were 5-0 up inside 10 minutes with a man advantage. But here’s the question – given that the Brumbies were struggling to cope with the Lions lineout and given that the referee had already given one penalty against the forwards from Canberra and was signaling that he was about to give another – would it have been a better decision to take the penalty? Why do you ask? Well, two penalties in two minutes against the Brumbies forwards is likely going to lead to a talking to from the ref, maybe even a warning about another yellow if they do it again. Lions kick to the corner once more and use their most powerful weapon – the rolling maul – to turn the screw. Perhaps they draw the penalty try and another Brumbie in the bin. 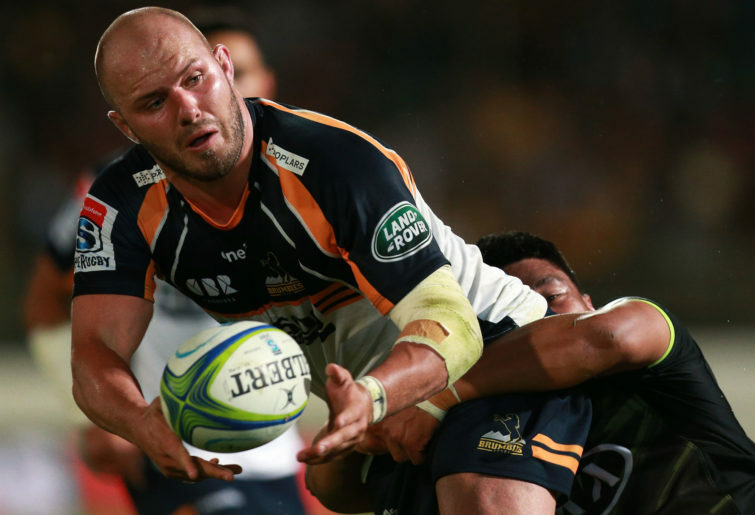 Perhaps they just get the try but the Brumbies are scared of challenging again. Either way, the result could be worth much more than just five points. Of course hindsight is 20:20, but what would you do? Lachlan McCaffrey had another good game on Saturday and was at the heart of a lot of what was good about the Brumbies. It certainly wasn’t an error-free game but even without a perfect performance he was able to score an early try and be a threat with ball in hand for the Canberra side over and over. If he can keep improving over the second half of the season then he could be in line for the Wallabies No.8 shirt. Last week the Lions were awful. Just awful. If you remember they lost 5-42 at home to the Sharks. That’s bad. This week they needed to put in a much stronger performance and to be honest they were, at best, average against the Brumbies. Yes they are away from home and having to deal with time zone troubles – including eating breakfast at 12pm and dinner at 10pm apparently to help them adjust – but there was a distinct lack of heart in the Kings of the jungle. One thing in particular is missing and that’s Kwagga Smith. The man whose first name sounds like a marsupial from Western Australia is so important to the Lions. Not only is he a very good player, he brings a ‘never say die’ attitude that is infectious and that the Lions are really missing. The Lions’ season could be in real trouble. Next week they have to travel to a resurgent Chiefs before then taking on the unstoppable Crusaders in Christchurch the week after. As they step back on the plane home after this tour they could have lost four games in a row and their position on the bottom of the South African Conference table could be well and truly locked in. For all their pace out wide and Elton Jantjies flair, the Lions have got to become hard to beat again and that means their pack really needs to improve. Too much depends upon Malcolm Marx and the forwards as a whole need to bring back their edge. 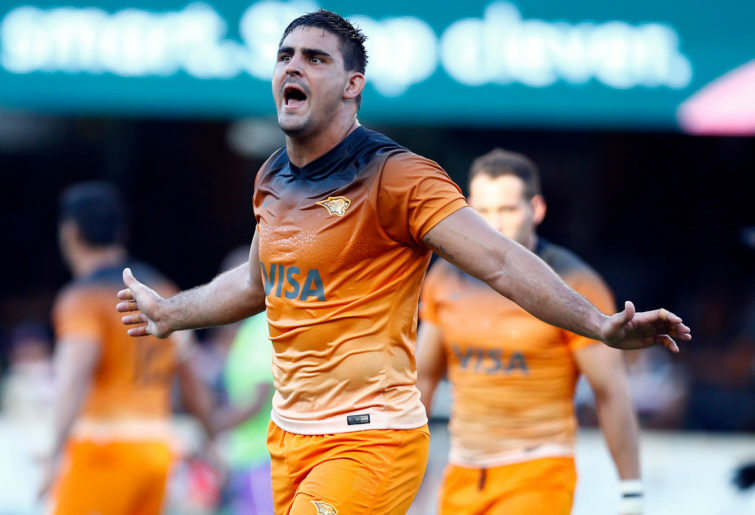 Are the Jaguares peaking at the right time? The Jaguares are building some momentum at a crucial time and are looking good. They have won two in a row on the road and now return to Argentina where they could well pick up two more wins. They are just four points off first in the South African Conference and the way they are playing is mighty impressive. If you haven’t seen the highlights from their game against the Sharks then you need to check it out and watch how Pablo Matera gets his first of two tries in the game. He picks up the ball just 30m from his own line, sprints into space, chips over the last defender, outpaces the covering defence and collects the bouncing ball to score a fantastic try. The confidence to try that and the skills to make it happen are impressive. Equally exciting for Jaguares fans is the fact that their team’s defence is really clicking – they completed almost 90 per cent of their tackles against the Sharks and kept the home side to just two tries all game. There’s a tough road trip for the men from Argentina towards the end of the season so they have to bag as many points as possible in the coming weeks. It would be great to see them in the finals! We’re not going to discuss his social media posts though or the reactions of Rugby Australia or the public. Let’s focus on the rugby and what the impact would be for the Tahs if they have to play the second half of the season without Israel. Their game plan and the outcomes they rely upon would walk out the door with Folau and they would have to come up with an effective Plan B very quickly – not exactly something they’ve shown comes easily to them in the past. Interestingly though, Rod Kafer (Elite coaching director for Rugby Australia) has suggested that at the international level, the Wallabies could be better off without him as he can be found wanting as full back. Now that might not be so true at Super Rugby level but it’s an interesting suggestion that this change – if it happens – might force the Waratahs to make more of the other talents that they have in their side. You have to say though that they are likely going to struggle for the rest of the 2019 season and finals might slip away from them with such a disruption to their Plan A. So what do you think – is there any way that the Tahs will be better off without Folau?